Guy Blake, CCIM, from Cushman & Wakefield/Pyramid’s Hudson Valley office, successfully brokered the sale of 7 West Main Street, Washingtonville, NY. Blake represented the seller, DBChase, LLC, a privately held investment company. The building sold for $300,000. 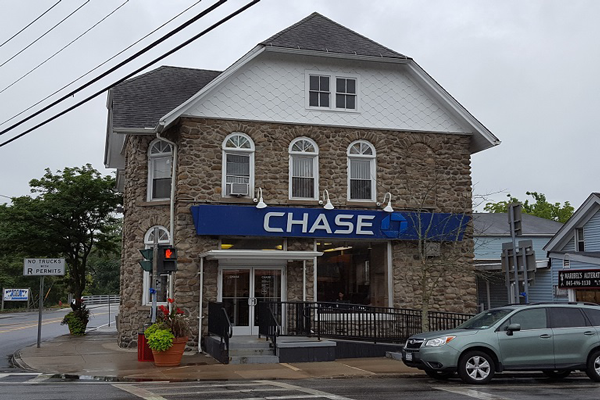 The property, located at the signaled intersection of Routes 94 and 208 in Washingtonville, NY, is a 3,744 sf free standing building currently occupied by Chase Bank. It’s a short term tenancy, however, as Chase’s lease expires 12/31/18 and they are moving to a newly built location up the street.